Andrew Robl built a big lead over Kara Scott and though she was able to mount a comeback, he inevitably finished her off. On her final hand, Scott was all in holding J-10 against Robl’s 10-8 and in good shape to double up. Instead, the board gave Robl a straigh and he moves on to face the winner of David Williams and Emmitt Smith in the next round. James Bord moved all in holding A 10 but was dominated by Andrew Robl’s A K .
The board ran out J 7 6 Q 3 and Bord was eliminated. Robl moves on to the Elite Eight to do battle with the winner of the match between Michael Mizrachi and David Benyamine. All of the celebrities are now officially out of the bracket with the elimination of Emmitt Smith. Smith was all in and dominated holding K-4 against Andrew Robl’s K-J. Smith flopped a 4, but Robl hit a running straight to move on to the Sweet 16. Robl will battle with James Bord in the next round. They are being super secretive with the action now, so we have no idea how it happened, but Erik Seidel moved all in and Andrew Robl went into the tank. After a few minutes, he made the call, but could only muck when Seidel showed him threes full. Robl was eliminated and Seidel moves on to the championship round for the second consecutive year. Seidel has already put together a monster year and is seemingly the best $25,000 buy-in tournament player on the planet. With $300,000 already locked up, this is now his fifth six-figure score of 2011. David Benyamine was slightly behind in his match with Andrew Robl when he moved all in holding A 6 . Check out this poker tweet from Andrew Robl. Mizzi doubled up to 945,000 after the hand and Robl took a hit down to 1.85 million. Mizzi keeps his hopes of taking over the Card Player Player of the Year lead alive in the tournament thanks to his survival. He has his work cut out for him though, he will need to win the tournament to top current POY leader Thomas Marchese. In a shocking turn of events David Baker went from one of the chip leaders to out of the tournament in a short amount of time. His final hand was fittingly shocking as well. 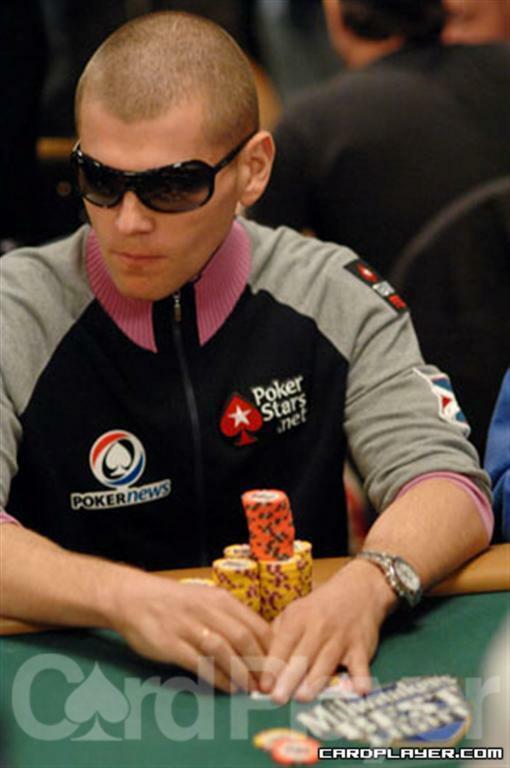 Robl spiked a club on the river to make a flush and he grew his stack to 2.1 million. Baker took home $25,339 in prize money. 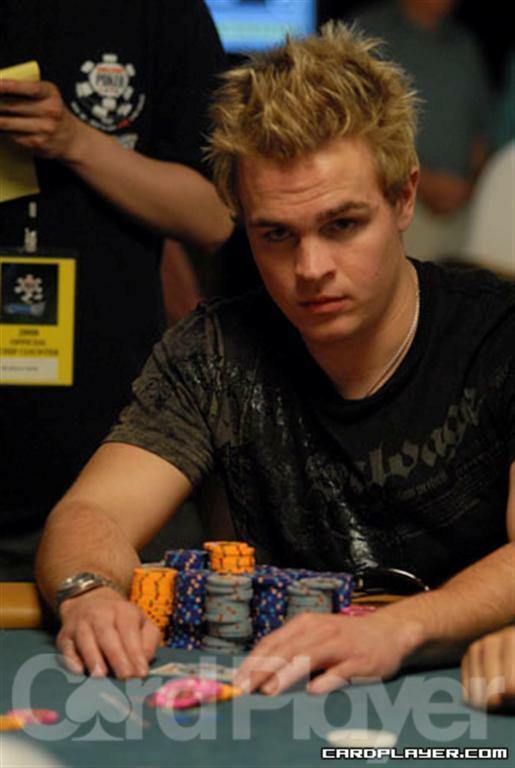 Kirk Morrison raised to 150,000 under the gun after the 6 was exposed preflop and Andrew Robl reraised to 280,000. Morrison made the call and the flop fell 10 9 7 . Both players checked and the 2 followed on the turn. Morrison checked, Robl bet 300,000, and Morrison made the call. The river brought the 4 and Robl moved all in for 955,000. Morrison went into the tank and eventually made the call. Robl turned over two black queens and Morrison mucked. Robl double up to 3.23 million and Morrison dropped to 2.6 million. Robl doubled up with queens to 1.2 million while Mohajeri dropped to 1.5 million. Esfandiari doubled up to survive with 1,348,000 and Robl fell to 677,000. Antonio Esfandiari raised to 800,000 and Andrew Robl quickly moved all in. Esfandiari instantly called with K J and was excited to see that he was ahead of Robl’s Q 10 . The flop came A K 6 and Esfandiari retained the lead. Robl could catch any jack or diamond to win, but the turn and river bricked with the 6 5 and he was eliminated. Esfandiari raised to 800,000 and Robl called. The flop came down 9 3 2 and Robl checked. Esfandiari bet 1,150,000 and Robl called. The turn was the 5 and both players checked. The river was the 9 and they checked again. Esfandiari showed Q-2 and took the pot, increasing his stack to 10,000,000. Robl is now down to 7,650,000. Esfandiari raised too 850,000 on the button and Robl called. Both players checked the flop of Q J 2 . The turn was the 5 and Esfandiari bet 825,000. Robl called and both players checked the 6 on the river. Robl showed A 5 and took down the pot to increase his stack to 10,845,000. Esfandiari is down to 6,810,000. Antonio Esfandiari raised to 600,000 and Andrew Robl called. The flop came Q 6 3 and Robl checked. Esfandiari bet 820,000 and Robl called. The turn was the 4 and Robl checked again. Esfandiari bet 1.9 million and Robl folded. With that pot, Esfandiari took a 9.4 million to 8.2 million lead. Andrew Robl moved his short stack all in for 216,000 from the button and Jose “Nacho” Barbero called from the big blind. Board: J J 3 3 4 . Robl exits with Â£190,000 for third place. He leaves Barbero and Jani Sointula to battle over who gets the Â£556,000 top prize. Picking up the action on the flop of K J 4 , Kirill Gerasimov checked and his opponent bet 650. Gerasimov made the call and the 6 fell on the turn. Both players checked and the 10 came on the river. Gerasimov checked one more time and his opponent took a stab with 1,250. Gerasimov made the call and his opponent showed 7 6 for a pair of sixes. Gerasimov tabled A J for second pair and he took the pot. He was at 19,500. Picking up the action on the flop, the board read A 7 4 . Andy Black, Gary Benson and another player checked to see the J on the turn. Black led out with 400 and both opponents called. The river was the 9 and Black led out for 200. Benson made the call while the other player mucked. Benson showed an ace while Black mucked and Black was down to 10,000. Victor Ramdin was down to his last 1,600 and moved them in preflop. He was called by Matt Glantz and he turned over pocket aces. Ramdin needed help as he showed 8 8 . The flop came down A K J and Glantz flopped a set. Ramdin needed running eights or the board to make a straight in order to survive. The turn offered some hope as it brought the Q , but the river was the J , filling up Glantz and knocking Ramdin out of the tournament. Mike Caro and two other players limped preflop to see 5 4 2 come on the flop. A player bet 400 and Caro was the only caller. The turn was the K and the player bet 1,400. Caro called again and the river was the 4 . Both players checked and Caro showed A 7 for a busted club draw while the other player showed K 9 for top pair. Caro was at 25,000. Picking up the action on a flop of A 6 4 , the small blind checked and Andrew Robl bet 1,800. The small blind called and the 7 fell on the turn. Both players checked and the river was the 2 . Robl bet 6,000 and his opponent made the call. Robl then tabled A Q for top pair. His opponent flashed A 10 for an inferior kicker and Robl took in the pot. He was at 37,000. After the flop had come down 5 4 3 , Adam Schoenfeld bet 1,000 and the player in seat 10 raised to 3,250. Schoenfeld made the call and the K came on the turn. Both players checked and the 9 fell on the river. Schoenfeld fired 5,000 and his opponent quickly called. Schoenfeld tabled 6 6 but seat 10 showed 5 5 for top set on the flop and Schoenfeld dropped the pot. He was at 32,000. Picking up the action after the board had run out 7 7 4 2 6 . Boyd Plowman was all in from seat 3 and Michael Mizrachi made the call. Mizrachi’s trip sevens was good against Plowman’s busted club draw and Mizrachi scored the knockout. He was at 55,000. A player raised to 700 and Andrew Robl made the call, as did the big blind. The flop came down J 7 5 . All three players checked and the K fell on the turn. Robl bet 1,300 and both opponents mucked. Robl was around 35,000. The player under the gun raised to 600 and Ted Forrest raised to 1,600 from the big blind. The under the gun player then raised to 6,000 and Forrest raised again to 11,000. His opponent called and the flop ran 6 Q 2 . Forrest’s aces were trailing his opponent’s flopped set of queens. The 4 turn and J river didn’t save Forrest and he was crippled, dropping to around 3,900 in chips. Three players, including Isaac Haxton, built a pot to 2,000 and saw a flop. It came down A J 10 and all three players checked. The turn was the 3 and Haxton led out with 1,250. His opponents mucked and Haxton took the pot. He was up to 50,000. The player in seat 4 raised to 500 and the action folded to Praz Bansi. He counted out some chips and raised to 1,350. His opponent thought for a bit and then released his hand. Bansi took the pot and he was at 34,000. The player in seat 3 raised to 600 preflop and Sandra Naujoks made the call from the small blind. The big blind also tagged along and the flop came down 10 8 6 . All three players checked and the turn was the 5 . Naujoks led out with 1,400 and both of her opponents mucked. Naujoks took the pot and she was up to 37,000. 76 players remain out of the 1,245 that entered the tournament. The average chip stack is 122,861. Notables still remaining include David Benefield, who is near the top of the chip counts, Andrew Robl, Chris Moorman, Taylor Caby, Daniel Negreanu, Jerry Yang, Justin Smith, Sorel Mizzi, Joe Bartholdi, Erik Cajelais, Amnon Filippi, Steve Billirakis and Dusty Schmidt. Players are on a 60-minute dinner break and will return to action at around 8:30 PST.